The Pirates have been changing the perception of their team this year. After years of dwelling in the cellar of the National Leagues Central Division they seem to have turned things around. The team currently holds a record of 51 wins and 40 loses and are tied for first in the division with the Cincinnati Reds. Both teams hold a 5 game advantage over the defending World Series Champion St. Louis Cardinals. Superb pitching has a lot to do with their success but beyond the pitching is the incredible play of Andrew McCutchen. 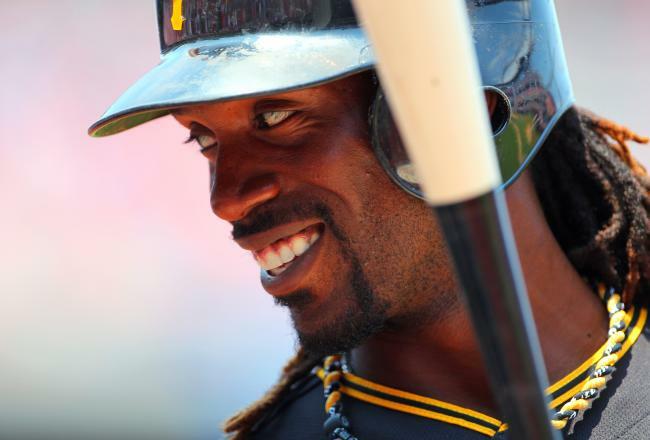 The Pirates Andrew McCutchen is having an MVP caliber season heading into August. McCutchen is having a great year and has shown himself to be the team leader. He has the best batting average in both leagues batting .369 after 87 games played. He also has 22 home runs, 65 RBI’s, 65 runs and 14 stolen bases. Producing many walk off game winners and with the lowly Pirates not looking so low combined with his stats shows that he is in the running and possibly the lead to win the National League MVP trophy this year. McCutchen was drafted by the Pirate in the 1st round of the 2005 draft with the 11th overall pick. He is in prime position to turn this franchise around for good and be recognized as one of the best baseball players around. He has added excitement to a team that had nothing to get excited about since Barry Bonds left after the 1992 season. He has had a few good seasons already but none as dominant as he has been this season. The fact that the Pirates are in 1st place in late July is amazing in its own right. The city of Pittsburgh could be transferred from a football city into to a baseball city in just a matter of a couple more years. The Pirates have a lot to prove still. Can they make the playoffs for the first time since the early 90’s? Can they advance in the playoffs? Can they continue to be a good team year in and year out? All of those questions ride on the play of McCutchen. If McCutchen continues this run he will be the N.L. batting champion and should be the N.L. MVP. Recognition of that level would be incredible for the Pirates franchise. So if you have not been following this player or this team its time to open your eyes and believe what you are seeing, its true the Pirates are for real and they have one of baseballs best rising stars.